If you’re disabled or cannot work due to a medical condition, you may qualify for Social Security Disability Insurance (SSDI) or Supplemental Security Income (SSI). Knowing what type of benefits await you in Bowling Green gives you the opportunity to plan for the income and budget it accordingly. It also provides insight as to why applications are turned down and what you can do to prevent making a mistake on your application for social security benefits. 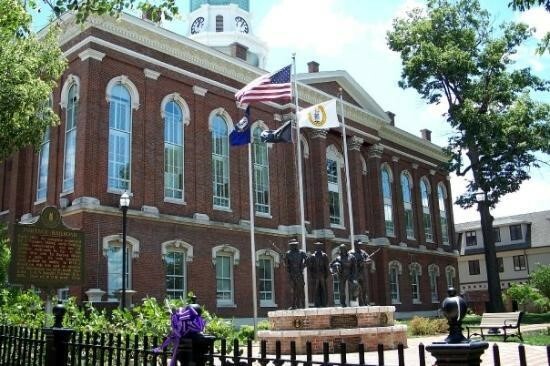 With a high rejection rate during the initial application step and long waiting times for a hearing, disabled Bowling Green residents need to get their social security benefit applications in just as soon as they can to prevent further delays. In the state of Kentucky, the approval rate for initial application and reconsiderations steps is below the national average. Among all the applications received, the SSA rejects 75% of them. Paying close attention to the information you provide on your SSDI or SSI application helps streamline the process making it more efficient. If you make it to the disability hearing stage, it can take up to 316 days to stand in front of an administrative judge who hears your appeal. Keep this in mind before applying. You won’t turn in an application and be approved in days. The national average for disability hearings is 348 days so this is a challenge that every state deals with on a yearly basis. The steps in processing social security benefit applications are long and varied. A number of factors including finances, medical condition, and occupation play a role in whether or not SSA approves or denies your application for SSDI or SSI. Just because you say you can’t work doesn’t mean there isn’t a job willing to make accommodations for your disability. The amount of your benefit depends on your situation. If you’re single, count on receiving up to $805 a month. If you’re married with one or two children, you’ll receive more money. Your benefits will be closer to $1,200 a month. The Social Security Administration (SSA) accounts for the added expenses that come with having and supporting a family. Residents of Bowling Green, Kentucky gain peace of mind knowing that their financial needs are being met by Social Security Disability Insurance (SSDI) and Supplemental Security Income (SSI). Get the relief you need by filling out an application and following the steps necessary to qualify for benefits. Your local Social Security Administration provides answers to the most pressing questions you have about SSDI and SSI.